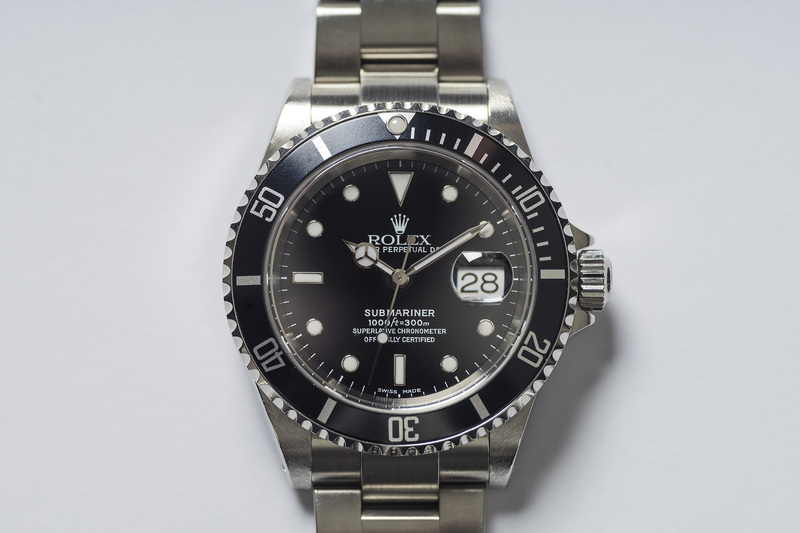 The Submariner we’re offering here is in a truly excellent condition! 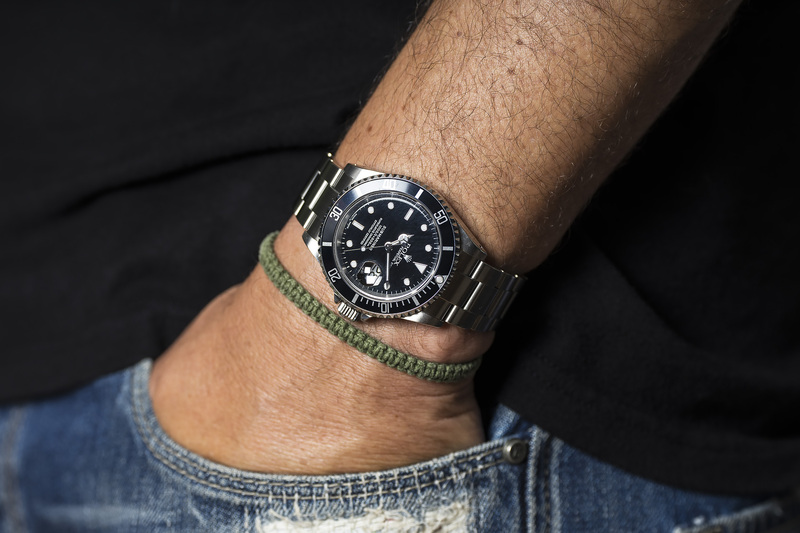 It features a thick case with unpolished lugs and a damage free and sharp stainless steel bezel with a black inlay that is slowly turning navy blue (hard to capture in an image but clearly visible at a certain angle) The 93250 Oyster bracelet is like new and is as good as stretch free. 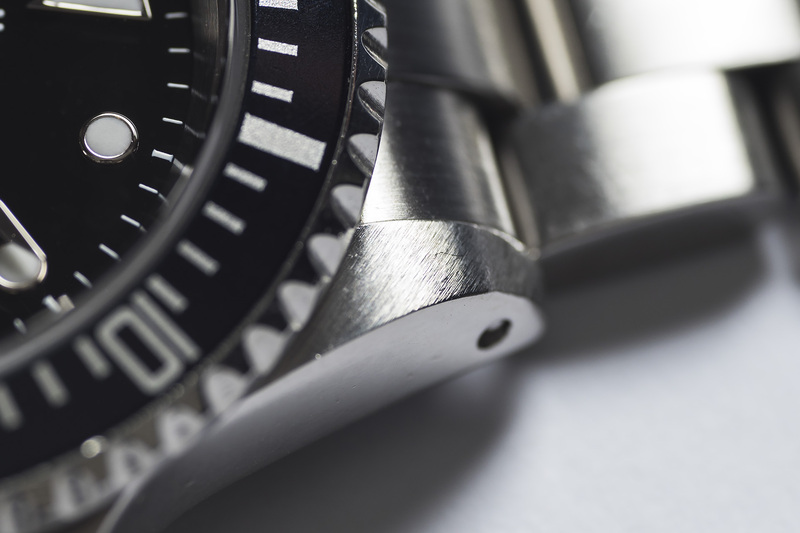 It’s clear by inspecting the watch up close that it wasn’t worn on a day to day basis and was taken good care of when it was on the wrist. 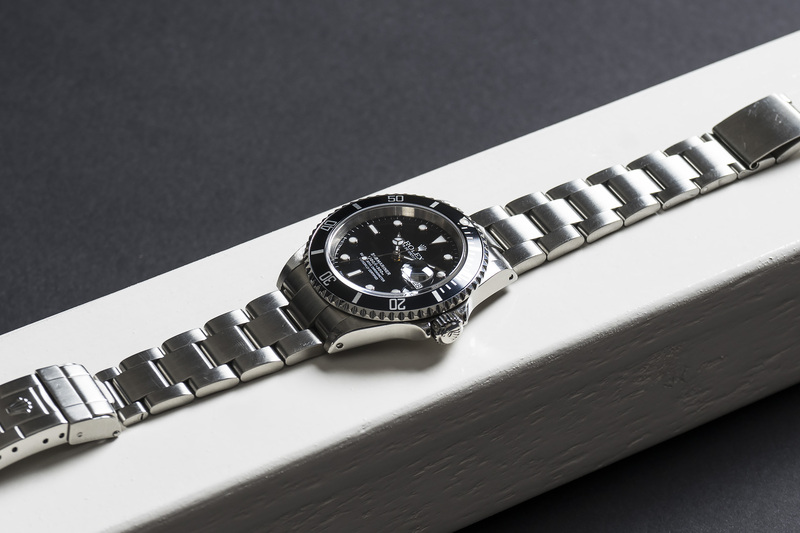 This K-serial Sub from 2001 has the (ioho) cooler pinhole case but is fitted on the then new 93250 Solid End Link bracelet (SEL) This combination is only found on A,P,K,Y serial watches and was discontinued during the production of the Y serial (production run is roughly from 1999 to 2003) This is a nice combo if you enjoy a more ‘vintage’ style case but need modern techniques for everyday reliability. 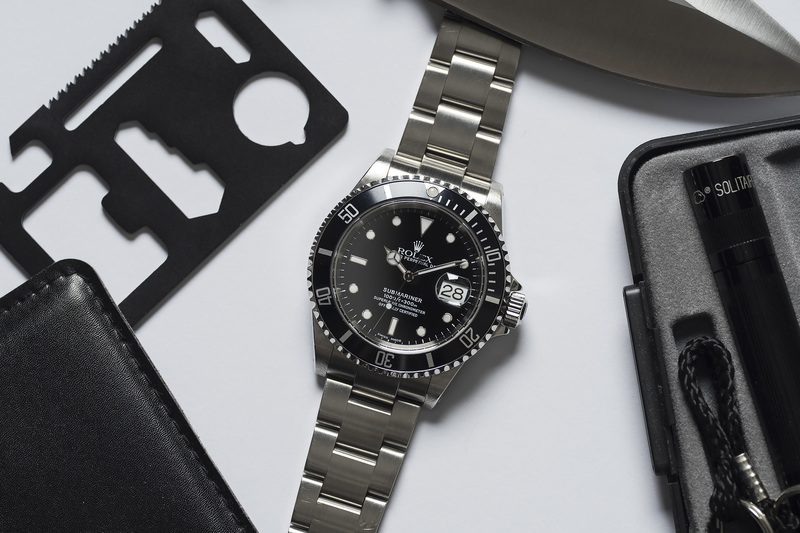 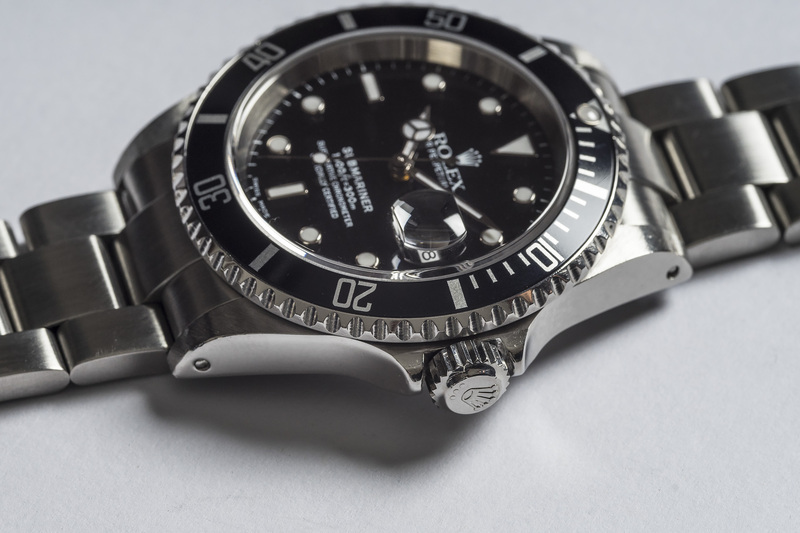 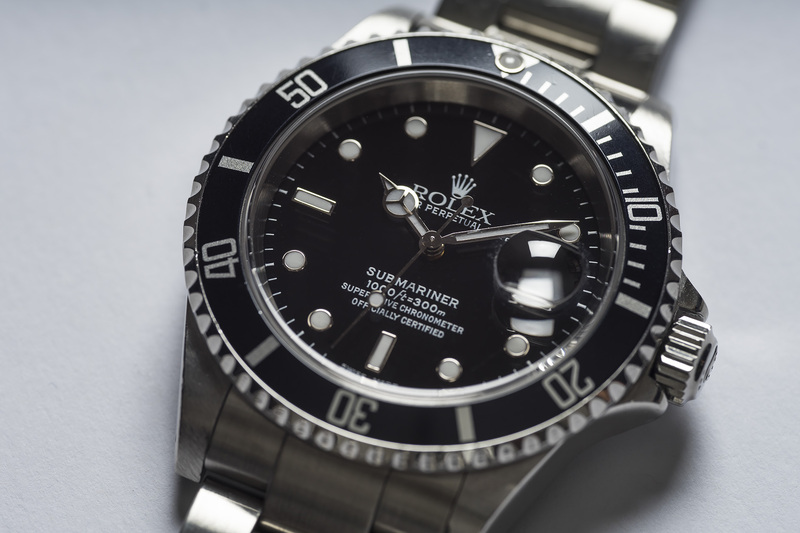 The Submariner is one of the most Iconic watches ever made by Rolex, whether you wear it on the beach or in the boardroom, it really looks good at any occasion! 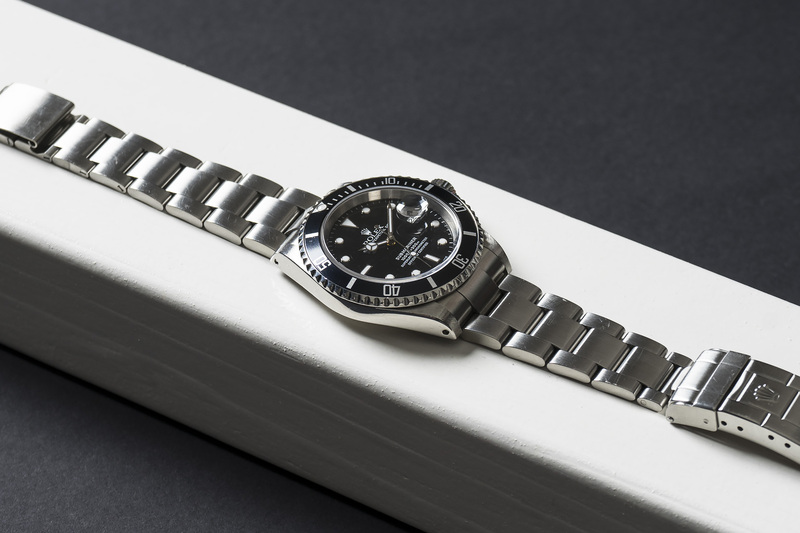 This killer Submariner with its deep dark glossy dial and fat case and bracelet is truly a joy! 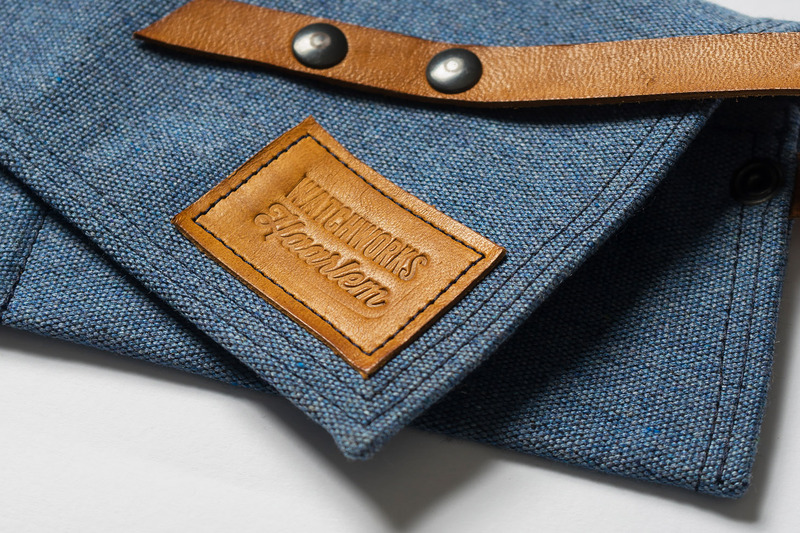 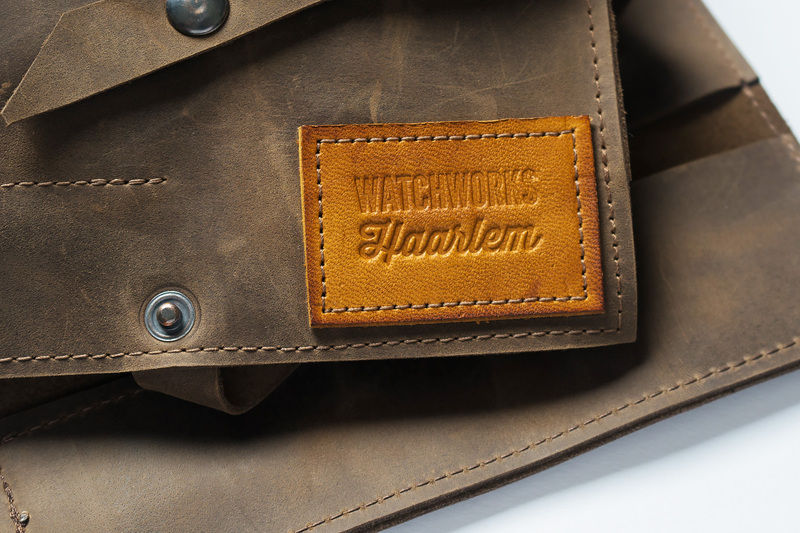 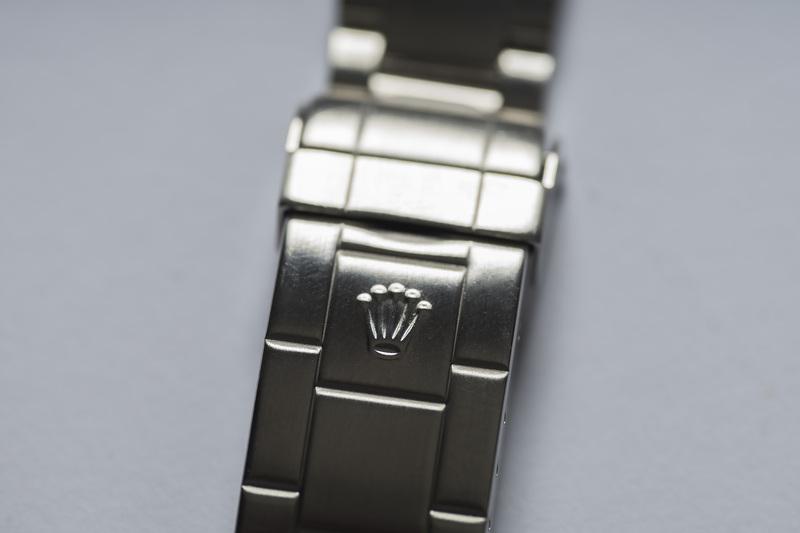 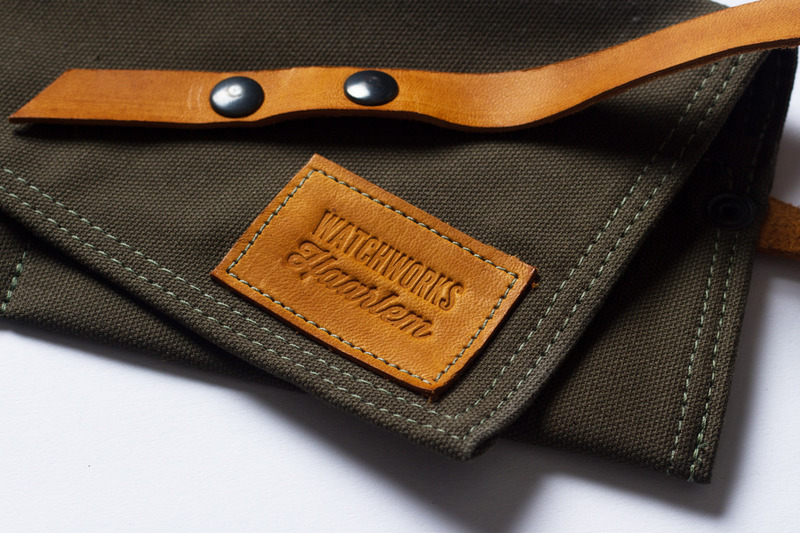 The watch was fully serviced by our watchmakers and will be sold with a twelve month warranty.